Bharat Sanchar Nigam Ltd. (BSNL) will conduct a written examination for General (UR), Scheduled Caste (SC), Scheduled Tribe (ST) and Other Backward Castes (OBC) candidates for filling up posts of Telecom Technical Assistant (TTA). when bsnl will send joining letter ? sir, what is the expected date/month of bsnl je result?? what is the expected date to publish bsnl je / tta exam result held on september? is there is any problem for attending the exam???? can i attend the exam ? My bsnl tta 2016 admit card has no photo and no signature. Also it has my father’s sir name printed twice. What to do? Sir, is there toughest competition in assam circle?what may be cut off? sir is the calculator is allowed in this bsnl tta exam? sir, when we will get admit card???? Is there any chance for extending the exam date? Sir i have given incorrect marks in the marks obtained column in the bsnl form. Will my form be rejected or will there be problem at the time of verification. Sir please reply very tensed. Sir . is there negative marking in this exam? Yes -0.25 out of 1 marks. sir, what is difficulty level in bsnl je exam paper. What can be expected from an engineering diploma holder. sir, i completed bsnl tta application but forgot to take printout. what should i do to take printout. i ve completed my registration properly for the first time.. but i edited but not submitted properly when they given edit option recently … does it affect ???? will i get admit card??? You old details which was successfully submitted would be consider in this case and your admit card would be issued on that detail only. Is domicile certificate is necessary to give the test for other state circle.? 1.for the domicile certificate where the candidate is belongs to? 2.for the test center where the candidate will give the exam? sir,kiran publication book is good,average,or below average… should I buy. another book? It is good for practice purpose. I am completed my registration but one document is not submitted that is my 8 th sem marksheet.plaese sir tell me how can edit my application form..Is it possible edit application form after closure of registration date. I am in VJNT caste, and there is only 2 caste options, i.e SC, ST, so can I appy in OBC category? am also having Caste verification certificate with me. I am uploaded PAN card as my proof of age instead of 10th…..it make any problem or my application will get cancelled? i applied for this post.payment is also done..i received mail as payment successful..
after that i login by using my id it shows make a payment..help line number also busy…kindly reply me soon..
Sir , is it enough to prepare only for theory questions ? Or we have to prepare for problem solving questions too? sir, i was made big mistake in online application which has been successfully submitted.that mistake is selected telecommunications instead of electronics and communication branch,my qualification is diploma in ece. sir,can i change or edit my details…? sir , my application has been successfully done,but i was selected telecommunications branch instead of electronics and communication branch.sir can i change or edited this……….?? I have paid the fees for JE exam 2016. The application was not saved showing page error but money got deducted from account . When i opened by registering again it was showing the same payment step. So after i read the terms and conditions I got to know that if technical error occur during transaction the money will be refunded by bsnl.So application was not saved and today is the last date so I was scared and paid the fees once again this early morning so totally 2000 Rs I have paid (1019+1019 Rs). I just want my first paid money to be refunded. Will that be refunded ? Please help me out. My last sem original result is not come .so what I fill in a obtained marks column .my mark are not shown on any result so what I do. I have paid the fees for JE exam 2016. The application was not saved showing page error but money got deducted from account . When i opened by registering again it was showing the same payment step. So after i read the terms and conditions I got to know that if technical error occur during transaction the money will be refunded by bsnl.So application was not saved and today is the last date so I was scared and paid the fees once again this early morning so totally 2000 Rs I have paid (1019+1019 Rs). I just want my first paid money to be refunded. sir can i modify application form after last date of applying. I have to upload documents again..but server is too busy. Sir iam i mistaken my application details of bsnl TTA JE marks,CASTE certificate is uploaded and OBC is not uploaded then how to modify my application plz tell me the procedure plz fast today is last date. I am student of electronic and telecommunications back of 1 subject in 8 semester. Hi sir can you please guide me about syllabus for computer engineering. 1. I have done B.E. (ECE), my 1- 7 semester mark sheets are with me and I have given an improvement of one subject of 6th semester subject.I have passed 8th semester and improved marks of 6th semester.I just have the internet print out of 6th and 8th semester result.I asked our college admin but they are not able to provide a consolidated marksheet,they circled my name and marks and attest my print out copy of 6th and 8th semester result.Can i upload original mark sheets of 1-7 sem and print out of 6 and 8 sem results attesed by college. 2. I have been provided percentage on basis of credit system in our college,can i just add on all the marks and divide by total marks or I have to add all the percentages and divide by 8.
hi i am from computer background can you please guide me for exam syllabus ?? Hi sir I am doing mtech and all my original marks card are in college .Can I upload my diploma Xerox copies, with or without attention ??? What are the valid certificates to prove obc caste . My caste is mentioned in my school TC certificate . Can i upload it as proof for the same . sir payment is done but registration is not done. I am from Kerala. I applied to Punjab circle(paid fee also), but given choice of examination centre as Thiruvananthapuram. So is it a problem? Where will I get examination centre? Whether Punjab circle will automatically change my examination centre to Chandigargh? Because of this my application may get rejected or not? Can I edit my registration? Should I re pay fee? What to do Sir? Please tell me sir. I am from Kerala. I applied to Punjab circle(paid fee also), but given choice of examination centre as Thiruvananthapuram. So is it a problem? Where will I get examination centre? Whether Punjab circle will automatically change my examination centre to Chandigargh? Because of this my application may get rejected or not? Can I edit my registration? What to do Sir? Please tell me sir. I am from Kerala. I applied to Punjab circle(paid fee also), but given choice of examination centre as Thiruvananthapuram. So is it a problem? Where will I get examination centre? Whether Punjab circle will automatically change my examination centre to Chandigargh? Because of this my application may get rejected or not? Can I edit my registration? Should i repay fee for that? What to do Sir? Please tell me sir. Sir, i have applied for je post and i made the payment.I got the mail also has your payment is success. But when i am going to login its again asking a payment. Whats the problem please reply me soon. Our college is having CGPA grade system. Even in my final marks sheets/transcripts they mentioned cgpa only. For the column “Total Marks obtained by the candidate”, how can I calculate the total marks from cgpa system. Kindly suggest me the bsnl approved/ correct way to calculate the total marks. Instead of total marks can i put my cgpa itself in that filed, as we are not having any proof of total marks obtained. Kindly solve my queries and do the needful. sir, how to prepare Section A (General Ability) part? sir, I have back in one subject .am I elegible for bsnl recruitment 2016 ..? sir, i have selected kolkata telephones as the choice of circle and i am an obc candidate but there is no vacancy in obc. what i need to do now..
Sir,i my marksheets(grade cards),toatl marks are not given only grades and total credits earned are given.How should i fill the total marks and grade/class column in the application form? sir iam in final year of b.tech and i already applied the bsnl je post….is there any problem sir? My friend have not any uid and eid no. He also completed his b.tech also can he apply bsnl jto. Please give a solution sir. sir, i am 2017 graduating student,can i apply for bsnl je post? i have completed my B.E in electronics and communication. While filling application form in educational qualification what should I choose ? Is it should be telecommunication or Electronics ? Sir i have not original marksheets intead can i upload a xerox copy of marksheets? Awsome piece of information, I had come to know about your website from my friend vinod, indore,i have read atleast seven posts of yours by now, and let me tell you, your blog gives the best and the most interesting information. This is just the kind of information that i had been looking for, i’m already your rss reader now and i would regularly watch out for the new posts, once again hats off to you! Thanks a ton once again, Regards. Hello Sir, Whether CSE students also have to prepare all the syllabus mentioned in Specialization part or only the computer section alone ? Is Specialization section same for all the department candidates ? Hello sir,my stream of diploma is electronics & telecommunication engineering.But in the form there are 2 different stream,one is electronics and the another is telecommunication.Now which one i will select? how can i edit form after the payment because i have enter c.g.pa. in total marks and the form is submitted with payment. So sir is it possible that i can edit my form after Final submitted? and after that i have print option.So sir what can i do Know? Should my application will rejected? sir i m student of BE %2016 batch passout.wht marks n application?of cpi/CGPA/only last two semester equivalent?? Sir, Is it neccessary to upload orginial scanned cerificates or can we upload xerox scanned certificates? i have done payment and amount deducted from my account but the page shows to do payment again i didnt get the reciept of final submission. SIR,can i get obc category benifit if i choose a state circle other than my own state?And do i have to upload the obc certificate during doc upload?also in total marks can i fill the percentage aggregate as i m a btech student? I have done uploading of all documents, photo and sign except the age proof. I want to ask that which document should I upload as an age proof ? Sir my branch is electronics and telecommunications. ..what should i write in the form…either electronic or telecommunications? ?? sir, I have passed engineering diploma. I have seen my 6th sem result but i don’t have 6th sem marks sheet. can i upload 1st to 5th sem marks sheets??? 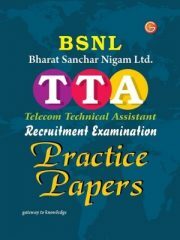 Expected candidates apply for bsnl TTA. In our college I had CGPA system. So I know only my CGPA. We have a formula to find percentage. By that I can find percentage. But in BSNL JE 2016 application form, we need to fill total marks obtained. How I am supposed to fill total marks obtained since I have no idea of marks I obtained.Is it OK if I fill my percentage for that. Please help me out. I have done both diploma and B.E., which should I enter while filling up application? if I enter diploma how to write marks obtained? so should I enter marks obtained as =2700/3600. Sir, my B Tech DGPA is 8.45 & our University(West Bengal University of Technology) does not provide any total marks for individual semesters…….instead they provide CGPA for each semesters & as a result I got 8 CGPAs for the 8 semesters of B tech & DGPA of 8.54 after course completion. So, can I put the DGPA in the total marks of graduation in the online portal? Sir,i have completed B.Tech in electronics and communication engineeringBut i have select the telecommunication in degree discipline option.Is there any issue ?? I have submitted my application form by uploading state community certificate instead of the central community certificate..Will that cause a problem during my document verification? Or is there any other way for me to upload it again? I have already submitted my application form by uploading state community certificate instead of the central community certificate..Will that cause a problem during my document verification? Or is there any other way for me to upload it again? Recently i got my B.Tech 4-2 semester results.But i didn’t got that certificate also i didn’t got consolidated marks memo which consists of all semesters marks. I have certificates upto 4-1 semester. what should i do? Sir , I have applied to BSNL TTA with photo size as 45KB & 378×484 and signature size as 14kb & 60×140.I have submitted the form.Does it will ccause any issue as it was not the preferred height and width. is 12th class mark sheet is required during verification cause i don’t have it? sir please tell me how to edit my submitted application.. I have not yet received my final year marksheet though i have given my finals in the year 2015 and passed. I had a supplementary result on my 6th semester which i have given this year only. I would be receiving my corrected 8th sem marksheet sometime later this month. what should i do? I Just want to know that do we have to study all the subjects in specialization section ?? Mark sheet , is all 6 semester/ 3 years mark sheet mentioned, so want to know that, 1st -6th semester mark sheet are required ? You need to show them all of your graduation marks. Now you check yourself what you should upload. mark sheet is all 6th semester / 3rd years mark passed mentioned, so want to that . 1st -6th semester marksheet are required? Try another bank cards and use another computer. 1. I have uploaded only my final year marksheet in the document section but not submited my 10th and 12 marksheets. 2. i have given my voter id number insted of adhar card number. do i face any problem reguarding this because i m from up. or is their any edit peroid for both my problems. or should i go for a new registration. so that i dont face any problem for admit card. 2. They only mentioned aadhar card there. .But he have not adhaar card. Can he apply bsnl jto?? Sir can u please tell me that how we can edit our form? Sir bsnl tta written exam conducted in which language – English or hindi? 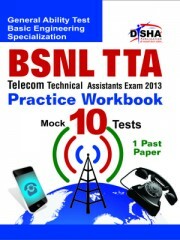 sir bsnl tta written exam preparation ke liye hindi language ki book mil jaayegi kya? sir bsnl tta ki preparation ke liye hindi language ki kon kon si book mil jaayegi? 1)is there any possibility to take exam center as Bangalore after applying for Maharashtra BSNL sector? 2) can i apply for Karnataka BSNL sector as i belongs to Maharashtra..? 1. You can choose different exam centre and circle of choice. I submitted the form of bsnl tta 2016 and the payment is also done. But forgot to upload the marks sheets of 10th anf 12th standards. I uploaded only the marks sheet of b.tech 8th sem. 1) Is it necessary to upload 10th and 12th marks sherts? If yes, then how to edit the form for which payment is also done? 2) Will my form get rejected? 1. 10th & 12th Not necessary but your 8th semester mark sheet must contain marks of all semesters. You can upload it right now. You need to submit latest certificate at the time of document verification. I submitted the form of BSNL TTA 2016 but i uploaded the marks sheet of b.tech 8th sem only and the payment is also done. Is it necessary to upload 10th and 12th marks sheets as well? Will my form get rejected? 10th & 12th Not necessary but your 8th semester mark sheet must contain marks of all semesters. Your application form will not get reject but you will face problem at the time of document verification. sir i am engineering final year student can i apply? ? fir bsnl tta ? Sir i have uploaded date of birth certificte issued by Municipal council in age proof certificate and submitted the application ans also paid the fees…what do i do now?? How can i modify my mistake? Adhar no ke jagah pan no diya Hu bihar ka Hu kya mera form reject ho sakta hai. Adhar abhi tak nhi bana hai. They only mentioned aadhar card there. 1) Now i m doing mtech, my original educational certificates are submitted in college. I have xerox copy of all those certifcates. Can i scan those copies(black & white) to upload?? Is it essential to upload coloured scan copy? 2) To upload scanned signature – Black ink pen means, can i use black ball pen to put sign on white paper? my friend told to sign by black gel pen not ball point pen. please reply. 2. Yes. You can use any but signature after scanning must clearly visible. sir if a person is selected in TTA and JTO (T) both and willing to join JTO (T) then the vacant seat of TTA under the circle will provide to the other student of the circle or not? Instead of all semistar marks memos can I scan my final b. Tech marks sheet which contains all semester marks list. Sir please provide me the information regarding centres. I want to appear from Maharashtra circle,but as I’m from Ranchi so can I opt my examination centre from Ranchi or is it mandatory to opt the same region and examination center..?? Consolidated mark sheet is enough. No option of BSc IT under education qualification. Sir, I dont have Aadhar card nor eID and there is no aadhar centre in our state. Can I use PAN card?? You can upload internet copy of those semester mark sheets without attestation. Its acceptable. I filled the TTA online form one week ago, took the print out also. In documents attachment of education, I attached only my final year mark sheet. Is all 3 year mark sheets, board certificate compulsory to them or only final year mark sheet is sufficient? sir what should i write in marks abtained as we have pointer system. can i write a rough data because i dont have any proof of marks obtained…. hello sir i had complete my diploma in engineering as well i complete my BE so i have total 12 sem marksheet if i can upload all of them then size of document will be big so what can i do??? ?please suggest me. Upload either diploma or degree information & certificates. sir i made a mistake in total marks place i wrote my percentage marks and subitted my application and payment also done is there any chance to edit my application this cause any rejection of my application. 1. is 10th class certificate which shows the date of birth is ok for date of birth? 2. in total marks column should i enter overall percentage of btech(all sem) or should i add up marks of all semester and enter that, because i have uploaded consolidated marksheet of btech which mention only overall percentage and also due to size constraint my uploded consolidated marksheet is blurred. 2. Add up marks of all semester and enter. That section is to enter marks not percentage. Please check what is written above that box. hello sir i had complete Diploma in engineering and also complete B.E so i have total numbers of sem is 12 so i cant upload all sem mark sheet becoze it is so big file in pdf what can i do??? Upload either B E or Diploma certificates. No need to upload both qualifications certificates. This job would be much better for you if you compare TCS job with BSNL TTA job. Like you will get little higher salary than TCS job. BSNL TTA job is not so hard like TCS job etc. If you can score well then you must try. Because if you can score 140 while belonging from SC category you can clear SC category cut off of any state. sir, my 8th sem gradecard have the clearification of all sem sgpa and aggregate cgpa upto 8th sem..
do i need to upload them separetly or its okk..
Uploading 10th, 12th class mark sheet is not so important. Sir, I am final year student of BE . Should I eligible for this junior exam? my amount was deducted from my debit card,but i have’nt get any registration slip(registration failed during payment). will my amount is refunded? 1)in total Marks obtained by candidate column is wrongly filled. I have 8.2 Cgpa n i have entered 82. What to enter in that column? 2)In educational certificate i have uploaded my 10th, 12th result, Last 8th sem marksheet & degree certificate. Total 4 document? Is there any chances to reject my application? They are asking about your total marks there is no option for entering CGPA. 10th, 12th & All semesters / years mark sheets of your diploma / degree. If your last semester mark sheet contain marks of all semesters then no need to upload all semesters mark sheets. I already upload the form with only provisional mark sheet and make the payment, as you say we can modify it Five times but their no link available for the same. This facility is written in BSNL TTA FAQs. So may be BSNL haven’t started it yet. I filled online application form, also online exam payment, one week ago. In documents upload section ie. Diploma/Degree. I completed my diploma in 2003, at that time the exam was annual pattern not semester one. I uploaded only final year mark sheet of Diploma in electrical in PDF format. Is BSNL reject my application or not? Can I upload all 3 year mark sheets, board certificate? Now, in next stage again I will pay fee of Rs. 1000/- or can I modify my application? Is there any provision for modifying my application? Please help…..
You need to put all the marks information of your course there. So its upto you how much mark sheet you need to upload to justify it from your side. 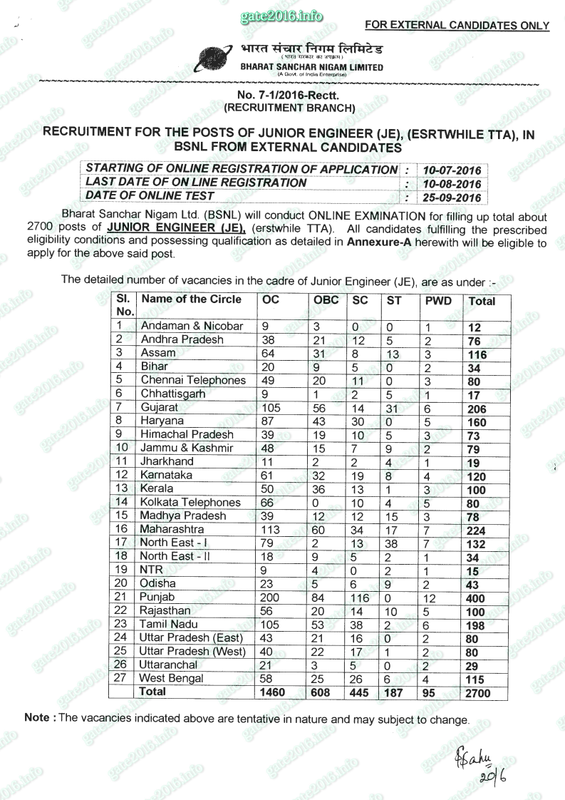 In bsnl junior recruitment in the place of total marks obtained by candidate,what should i write?? ?Because in b-tech i have only the cgpa. Hi, I m studying ECE final year. Can I apply for this exam? I have been qualified in B.E. ( Electrical) 8th semester exam and my 7th sem one paper was back, I have been appeared in 7th sem(back paper) exam on 21st june but result is still awaited and is expected to declare in the month of september(first week). So I want to know that am I eligible to fill form for BSNL TTA. Please confirm me yes or no because in notification there is no mention about it. Sir iam unable to upload my obc certificate central with 62.5 kb pdf of dated 2014 iam getting pop up msg as please upload community certificate what it mean..
Sir I dont have aadhar card and there is no aadhar ecntre in our state, is voter ID is applicable or not? Sir mere 7 the sem Ka one paper bike tha uska exam june me diya hu or. Uska result September first week tak ayega or 8 th sem ka result aaa gya h or sab paper clear h , kya mai bsnl Ka form bhar sakta hu? Sir I’m BE from electrical and electronic engineering , mere 8 th sem Ka result AAA gya but mere 7 th sem Ka result nhi AAA ya h kya mai bsnl Ka form bhar sakta hu ?? or agar bhar Sakta hu to mujhe mark sheet me all sem Ka upload karna ho gya kya??? but as per 10 th marksheet my name is written as Mahajan Sameer Arvind ie surname is written first then in which way , i have to register my name? There are 8 mark sheets incuding 6 nos of marksheets for all semesters of diploma containing in single pdf document are not clear view,Is it subject to cancelation of my application ? No, they will not cancel. Document side should be with in the range of 50-100 kB. Sir. I have doubt in uploading educational certificates. I completed diploma and I ve all. Certificate in diploma. Like provional certificate, course complete certificate, consolidate mark sheet ,all semester mark sheet, transfer certificate and. 10th certificate. If I add all these certificate in single PDF its coming to exceed 500kb. I have changed DPI also but its coming exceed..
Hello admin i have an dought related category will you please provide me a complete information as iam comes under shaik(BC-E) muslim milnority can i apply for OBC Category and what is creamy and non creamy in OBC If iam not eligible for OBC In which category iam eligible and i have Bc-e certifacte plaese provide a clear information. If you have certificate named OBC certificate then you are eligible for OBC category recruitment otherwise you will consider as general category candidate. All other certificates are of no use. I filled wrong state in my address and submitted already after online payment. Now how I can correct it. Is there any way to correct it??? Sir, I am a Ex-Serviceman and retied from Corps of Signals in the month of Apr 2015 as a Fore Man of Signals with the trade of Technician Tele Communication Engineer after completing 26 years of dedicated service in this field. I have a Diploma in Electronics and Telecommunication Engineering (Class One) Course which is issued by AICET ( All India Council for Technical Education) in the year May 2008. Can I am eligible for apply for the post of BSNL TTA (JE) post? Qualification wise you are eligible. I think you will face age limit issue. For this you need to fill BSNL TTA(JE) 2016 online application form. If your age is with in age limit defined by BSNL then you are eligible. How to modify form .ii fill wrong category in preview step i found this mistake can i still correct it ? If you haven’t finally submit your BSNL TTA(JE) 2016 application from you can go to previous steps. Forgot to upload final year marksheet what should i do now and also i make payment . Should i fill form again. if the documents are blurred as they are compressed to make less than 500kb, would they cancel the candidature??????? No they will not. Its their mistake that they are providing only few kBs to upload many documents. In that BSNL application , they asked for OBC certificate.Whether i need to submit Non creamy Layer Certificate along with OBC? And I got an OBC certificate last year july is it valid for this year? If you have Non creamy Layer Certificate of OBC category then only you will consider as OBC candidate otherwise you are UR. Upload this one, you will require latest verified certificate of OBC at the time of document verification. Can I upload xerox copies of my certificates .please clarify sir. Yes you can but at the time of document verification you will require original one. Sir I am doing m.tech .I don’t have each semister mark list.my certificates are in my college.can I up load only degree certificate which contain overall marks with semester wise .if I upload it will they reject my application? No they will not reject your application form. You can upload xerox copy images in PDF format but at the time of document verification you will require original one. All semesters / years mark sheets of your diploma / degree. They are asking about marks not certificate. is it nesessary to submit central obc certificate? or shell i submit state obc. If there is state category certificate applicable every where then what is the need of central category certificate ? Answer this question yourself you will get your answer. How much time is needed to get promoted from JE to JTO, if JE is a B.Tech guy ? I am a JE in BSNL.. Promotion is reduced 5 years from 7 years as per RR2004. no promotion frm JE to JTO. Sir, I am oc candidate.. So which circle I have to chose.. Punjab or kolkata telephone. It will depend upon what are your priorities. If you can explain them in detail then only I can help you. while applying for the post the state of correspondence i gave as TAMILNADU but after mode of payment it is showing as karnataka. the application will be rejected or is there any possibility to change the details. How i can edit change this…. I am not update my 7 th and 8 th sem marksheet ..plz tell me how to edit my application form which online payment has done..Do they reject such application. sir how to update application form which already applied in there any wrong information in application. Hello sir , can i upload my provisional final year marksheet if original marksheet is not issued yet . You have to upload All semesters / years mark sheets of your diploma / degree. If we have Quota than if we are applying from other circle than home state than does it considered in open ? If you belong to X category in Y state you will consider as X category in Z state too not as open, if you have proper certificates. Try again n Try at early morning or late night. I’m Sujit Kange from Maharashtra circle, I filled TTA application for Maharashtra. I have one doubt that in specialization subjects i.e. electrical, electronics & Instrumentation, computer, communication, IT. Can I prepare all these subjects for exam or only electrical as my specialization which I filled in online TTA application form. In your BSNL TTA-2016 advertisement mentioned only syllabus & also in online application form you didn’t mentioned that choose any one subject as your specialization. So, it’s my request to kindly help & sort out my confusion. I am B.Tech. in CSE and I have a confusion regarding the syllabus for the third section… Do we have to prepare all the subjects or the particular topics mentioned in the CSE section i.e. the seventh point…? I need some clarification on Online Payment during the Registration for BSNL JE 2W16. Without online payment itself they accepted and generated application reference number stating that ” you have successfully completed the online Registration “.How can I confirm the Submission of Application.? Please advice. This website seems to be fraud. There are some Duplicate Websites which are Claming Jobs on Behalf of BSNL. Can a BSc IT apply? I have completed registration but I am facing a problem. So may I again-register for the same post? Kindly inform me. I have completed registration but I am facing some problem. So may I again register for the same post? sir MCA students are eligible or not for this exam? I had done MCA. Will I be eligible for tta exam? I have completed my graduation but have not received the marksheets of 7th and 8th sem…I have the soft copy of the result generated on the website of gtu…so can I take its print and scan it along with other marksheets??? Also,do we have to enter the cgpa or cpi or convert cgpa or cpi into percentage and then enter in the column of total marks??? 1. Yes you can attach net copy. 2. Convert cgpa or cpi into percentage and then enter. I am 2016 batch student.can I apply for the exam? As I didn’t get my 8th sem result. On the closing date of application for TTA(JE) a candidate must possess the required education qualification. sir,I have completed 3 year diplomo in cse but got through engineering in ece.Now I am studying final year.There is a doubt for me i can apply for this.If i elligible which marksheet i need to submit.I passed my diplomo with second class.There is problem in second class.Please give me a suggestion. diploma mark sheets need to submit. No issue, only pass marks is required for this recruitment. Yes they will after closing date. Sir I made a mistake in form that selected stream telecommunication and my branch is electronics and telecommunication,will they reject my application? No, they will not reject. sir, I have both diploma and graduation degrees. Do I need to upload certificates of both degrees or certificates of diploma degree will suffice. But I have diploma of 2 years module. upload only one. if you have done diploma of 2 year then do not fill it in the form use degree to fill form. sir I belong to the OBC community. But i come under the creamy layer category. So can i give my category as OBC or should I give that as general (as usually done in bank exams)? If you come under the creamy layer OBC category then there is no advantage of filling form from OBC category you can apply from general. In OBC certificate is it required creamy or non creamy layer? In notification it is only OBC. and where i can get these certificate??? If you come under non creamy layer OBC category then you must have a certificate of OBC category to sumit while filling BSNL TTA(JE) 2016 online application form. hello sir, I have completed my B.E. I want to ask about total marks obtain by the candidate field in education al qualification category. since in every semester we were having cgpa. My CGPA upto 7 semester is 6.62i.e 59 %. Plz explain what should I be entering in that field. Hello sir I am Harish I am handycapped plz tell me the fee details and cutoff marks for PWD sir. Sir, What would be the approximate monthly salary since don’t know how to convert the pay scale into monthly salary. After the 7th pay will it will not change? what will be the monthly salary since I don’t know how to convert the payscale in to monthly salary. Is there eligibility for b tech ece 4th year appearing students this year??? No. On the closing date of application for TTA(JE) a candidate must possess the required education qualification. I completed btech in IT within 5 years.can I apply for the exam. obc candidate fight only obc seat or general obc both. which book is best for tta. Sir what does graduation medium of instruction means ?? Medium of instruction – Your graduation medium i.e., English/Hindi/Any other language in which you have completed your course. My date of birth is 15/7/80,and I belong to SC category,can I apply for this bsnl exam. If you are under 35 year age, you can. Sir i have done my b.tech in Electronics & Communication ..So my subject stream would be Electronics or Telecommunications ? Sir I did B.Tech IT and I have applied for BSNL JE post. While I’m uploading my application form I have attached only 7th and 8th semester result and for age proof I uploaded my PAN card. Whether my application will get reject. Can I edit my data if so how? You need to upload mark sheets of all semester. For age proof PAN card is correct. Obc candidate fight obc and general both seat or only obc seat. Sir. I have opted for electrical as my specialization. I need to know what is the selcetion process and Bsnl Job nature i.e., whether it is feild work or we have to work in office. Selection process – Single written exam for selection. Job Nature – both, field work &/or office work. Sir i am from tamilnadu but in application i wrongly entered as karnataka is there any chance to change my state after online submission. After submitting the application form i found that the state details i have furnished was wrong. will this cause rejection of my application. kindly help. You can correct it after closing date of application form. Dear Sir, i have a doubt. I want to apply on behalf of punjab circle. CAN i choose my examination centre from KOLKATA? Hello, i have completed my BE in electronic and telecommunication. Can i fill either electronics or telecommunications in subject stream. Choose Electronics that is more appropriate. You need to provide marks details of all semester, they do not need your certificate. I want to know the starting salory of TTA, and does 7th pay commission is applicable for this TTA? Not more than 4-5 months. sir i m still confused what to write in total marks obtained by candidate CGPA or percentage or total marks of all 8 semester as i already mentioned u that i don’t have my total marks i only have the percentage or CGPA plz sir solve my confusion.. and one more question as i belong to Ahmedabad (gujarat) so can i choose job location as punjab and examination center as gujarat ? You have to update Total marks there. sir I have an OBC certificate which was issued on 12/04/2016.Can I upload that certificate ,as nothing was mentioned about the date of issue of an OBC certificate in notification. i have not aadhar card but I have Pan Card can i use Pan Card Number? uptu gives normalised marks out of 5000. but each semester is of 1000 marks. 8 sem makes 8000. Only aadhar card details would be accepted. hi sir ,can i upload xerox copy of my marksheet. sir,Is there any contract with BSNL after getting job?How much should l I have to pay on breach of contract? Yes there is bond. If you left job before the period defined by BSNL you have to pay that bond money. Sir while applying for BSNL JE I gave odisha as state in correspondanse and postal address but after paying my application fee i got Himachalpradesh as my state in both correspondanse and postal address..I called them they said it cannot be changed..but i didnot do any mistake. I gave my state correctly while my application form.the error may be due to bsnl je registration web site..will i be rejected?? i have a doubt. Can i opt for one circle and then write the exam in another circle’s examination centre. Do i have to select the examination centre in that respective circle itself? Yes you can choose different circle of choice & exam centre. while uploading educational certificates,,separate mark-sheets of each semester should be uploaded or only scanned copy of the degree certificate is enough?? Sir , I have completed B.E. in Electronics and Communication in 2016. what should i fill in Subject stream, Electronics or Telecommunication in TTA application form. sir, i have done btech from electronics and instrumentation . can i apply from instrumentation discipline. You need to apply under Electronics. Paper would be common for all branches.Syllabus defined by BSNL for TTA(JE) post and it doesn’t vary according to branch. Yes there is an option for BE candidates too in the online application of BSNL TTA(JE) 2016. Gm sir I have completed my btech in ece through 3yrs diploma. I still didn’t get my certificates can I apply through diploma certificate. I have filled diploma and graduation coloms in the application and I have uploaded 10and deploma certificates. Does it effects in the cancellation of my application. You need to fill one education qualification even if you have more. Most probably your application form will not get rejected. 4. You can’t use anything other than aadhar card. For getting EID number you again need aadhar card number. So get your aadhar card asap. I have done BE in Information Science and Engineering. Will I be eligible for TTA exam? There in the BSNL TTA(JE) application from an option which suits your qualification is Information Technology. If you think your branch may consider sub branch of Information Technology, You are eligible. As per my information your branch would most probably consider as sub branch of Information Technology. Rest depends upon you. sir i from tamilnadu state I have a doubt in TTA quota reservation because am belongs to BC can I eligible for this post if eligible any other certificate to be needed or not but I have only BC certificate that is enough. As per notification your caste must be in the central caste list of SC/ST/OBC and you must have a central caste certificate. If you satisfy all these conditions your are eligible for reservation. No, On the closing date of application for TTA(JE) a candidate must possess the required education qualification. sir as per my results my college had not mentioned the total marks obtained, instead of this they only mentioned class and CGPA … so what i have to fill in total marks obtained by candidate. I have got 44/100 and 570/1000 in gate ee 2016. In which psu i am eligible for appointment. By checking cut off marks of PSUs you can calculate yourself. Sir I have doubt.Can i put my school leaving certificate for the age of proof and my provisional degree certificate for edutional certificates if not which certificates are needed for age of proof and educational marksheets. 2. Age proof Certificate – 10th class certificate which contain your DOB. Age Proof certificate : 10th class mark sheet not containing DOB in Guj Board. So School Leaving Certificate is Valid or Not ..? if Not then what other document can upload ? Do you have nay of these : Driving License, PAN Card, Passport, Voter ID. hello. In the educational qualification section what to fill in the medium of instruction? Medium of your engineering diploma / degree. What should i fill in medium of instruction and what total marks obtained should i give should i give total % obtained in last sem or do i hav to give marks obtained in last sem or the total % of all sem.. please sir help me fill the form m confused..
sir I have a doubt regarding eligibility. I have completed my Btech this year but have not received 8th sem marksheet from university. Is it okay to upload only till 7th sem? Do they reject such application? You have to upload mark sheets of all semester otherwise you will defined as not eligible. 2.In “All Education mark sheet” contain 10th and 12th result ??? 2. No issue. 10th and 12th not much necessary. I did BSC IT . am i eligible ? B Sc Computer is eligible but there is no option for B Sc IT in the application form. I am from Uttarakhand state..can i fill the punjab circle. I hv completed registration of bsnl TTA, but one of the document is not uploaded properly..
Is there any provision of editing or my form will be rejected??? Yes you can edit your application till 5 times. Sir /maa’m my final sem result is declred on 2nd july..am i eligible to apply fo BSNL (JE) exam? Actually when i was filling d form..there was no option for 2016 in date of publishing result..so wat is to be done for that? Yes you are eligible if your all results are declared and you have cleared them all. Now there is option of 2016 selection. “year of result publishing” in JE(TTA) application form does not showing year 2016 in the drop down list. In this case what i cab do? Now there is option of 2016 selection. Please check application form again. Please mention all the questions clear and point wise if you need clear explanation of multiple questions. Sir do we have to fill form state wise and fight for particular state seats like in rrb or do we have to first write the exam and select zone according to our marks….. Same as RRB you would only fight against one states seat only. i hv done my diploma and now i’m in final year b.e. so im interested in giving bsnl je 2016 on diploma basis but while filling form it is asking for grad marks as well ithout that its not going further wht to do?? Fill your diploma marks, marks which you obtained like obtained 600 out of 800 then fill 600 in that column and grade there like first/second etc. Sir,in the registration page of BSNL JE TTA in the eligibility section qualification details the drop down box has the year upto 2015 there is no option of the year 2016.So the candidates passing in 2016 will enter which year? Now there is option of 2016 selection. Please check again. Sir can i use voter card instead of adhar card.because i face problem during filling adhar card number. No. That is star marked & mandatory. You can’t fill anything there. in the form the latest year of qualification is 2015 and my result will be out on 12th july 2016 so can i apply for tta? In today while applying online it is not showing the option for 2016 passout student, it is only upto 2015, so cant the 2016 passout students are not eligible??? Sir, my name is R. Sumanth Kumar Reddy, I had completed my Mtech in Embedded Systems(ECE) in February 2016, can I apply for BSNL TTA (JE)…? Firs you need to answer this question to me. In which branch you have done BE/ B Tech ? What is the Pass out year for Btech for ECE field do they require as I’ve tried selecting the 2016 year but there is no such year mentioned. It’s upto 2015 year only. And no where in any notification for bsnl TTa eligibility there was nothing mentioned about pass out year for ECE freshers? Hello Sir, my doubt is that, how much vacancies are there for different streams (e.g., electrical, entc, cs, it) individually? bcz vacancies are not mentioned branch wise…? Different- different branches are eligible for BSNL TTA(JE) post, Post is not divided for different- different branches. So you are going to fight total 2700 posts and with all eligible branch candidates. Please check “ALL SUBJECTS” book list for individual subject books. I need to ask dat while choosing a partucular circle does local lanhuage is neccessary ….or a person can choose any 1 circle frm rest of india.. I m frm U.P But complete studies in pune & stays here.. So dats d doubt plz help me. I am SC candidate from maharashtra. Would I be eligible as SC if I apply from other circle. 1. Specialization part i need to study all subjects(I am CSE)? 2.In case if i study to prepare all subjects questions will be in Basic diploma level or Engineering level? 1. You need to prepare all 7 subjects mentioned in the specilization section. Syllabus defined by BSNL for TTA(JE) post and it doesn’t vary according to branch. 2. Basic diploma level because minimum education qualification is diploma in engineering. I’m final year electronics student.may I eligible for that job? sir/madam, i want to know that i had given my 8th sem in may 2016 in b.e. electrical engg. and result will be announced till 20th july so with all the sem passed am i eligible for bsnl tta 2016 exam? and sir/madam closing date of application form is 10 august so am i eligible to fill the form with complete results of all the sems after 20 july ?pls guide me…..thankyou so much.. Yes. If you have all result of successful completion of your engineering before closing date, you are eligible to fill form. Remember do not fill from before your final result declared. Hello Romeeta, do u belong to MAKAUT(WBUT) ? OR can u suggest the possible date of ‘result out’ of MAKAUT? do we have to prepare for all the subjects given in specialization section?? ?…if so why this section has named as “specialization part”. doesn’t we have to choose one out of it?? Actually there was option of choosing 2 subjects of your interest earlier but now BSNL drop this option and make compulsory to solve problems from all sections. My brother is 30years old as on 02.06.2016. He is a Btech Electronics degree holder. is he can apply? Age limit for General category is 30 years. If you have crossed it you are not eligible. Which book is best for preparing Bsnl JE exam? hello sir,can i opt how many circles? Now candidate need to choose only one circle while filling online application form. I have a doubt regarding TTA Recruitment 2016. Sir it has been mentioned that total no of vacancies are 2700 and distribution of these vacancies for different states is also mentioned. Sir, shall a candidate fight for all the 2700 posts or for only those no of seats allotted for a particular state he opted for? Now candidate need to choose only one circle while filling online application form. So you will fight for only one circle now. OK sir but please read notification point 6.mode of selection and nature of question paper – they have also mention after all India examination all qualifying candidate required to give their option for circle in which they desire to serve consequent upon their selection WHY. BSNL have changed the rule. Please download revised notification. thank you sir you are doing great job now my all doubt is clear. Sir…I m in the last year of engineering(entc).Am I eligible for this exam? You must have required education qualification on the date of filling online application form. I have just finished my b.tech degree course, but probably the result of the final semester will not be published within the closing date of the online registration(10.8.2016), so am I eligible to apply for the BSNL TTA post? This is farhat .I have completed my 3rd year of B.Tech in Electronics with 56% & now i’m in 4th year. sir I need suggestion that can i eligible for BSNL exam of 2016 or not? For 2016 recruitment you are not eligible. There is no % criteria in BSNL Just completed Diploma / Degree in Engineering. I m B.Tech. in ceramic……. can I attempt this one…… plz guide me…….m waiting……. Please check education qualification section of the notification. If you find your self fit any of those branches then you may apply. As far as we can say you would not be eligible for this post. Sir i am b.tech third year student . Am i eligible for this exam ? Or only b.tech pass out can give this exam . You must have completed your B Tech degree at the time of filling online application form. So you are not eligible. Sir, I qualified btech in 2015.can I apply for bsnl TTA recruitment? Yes you can if you have done engineering as per education qualification required and if you are under age limit. b. tech EEE(electrical and electronics) graduate eligible or not? I will be completing my btech course in electrical an d electronics engineering in 2017 I.e I am in final year now.Am I eligible to apply and in which branch. is there any seperate vancancies for electrical or total 2700??? Electrical Engineering graduates are eligible for all 2700 posts. No separate post for Electrical Engineering graduates. sir, is tta a direct recruitment exam. You will be select on merit basis and on the merit base you will get your posting. Generally TTAs do not get transferred in other state but they may. sir, what is the starting date for application of online form tta, . how many vacancies are for j&k. also the result of my last sem btech is awaiting, am i eligible. For application for date, number of vacancies & all other details please read below post carefully. BSNL will most probably allow final year candidates. I got to know that bsnl tta recruitment is going to be held.Iam waiting for notification(2016-2017).Do u have any information regarding the official notification.? Official notification yet to relate by BSNL office. Most probably in the month of October. thanks to admin, for day by day information. sir my age is 28, will i be eligible for the post of TTA??? Age limit for UR candidates is 27 years. So you would not be eligible. But don’t lose hope may BSNL increase this limit in the upcoming recruitment. Sir, i have done B.Tech in Electrical engg. (i don’t have 3 years diploma).can i apply for bsnl tta recruitment 2017.
whether applied electronics and instrumentation engg students are eligible. Yes you are eligible. Most probably with 1 or 2 months. i got 59 marks in TTA sc cat. is there any chance in karnataka circle? Now BSNL is recruiting on all India basis so you have less chances of selection but never lose hope. Sir I got 85.25 belongs to sc cat.is there any chance to get selected anywhere in INDIA. Sir, I got 88.25 marks in TTA exam in OBC category under maharashtra circle.Is there is any chance of selection ??? can you provide previous year merit please. TTA exam is all over India basis but merit is circle basis. So if you have applied for TTA post in Uttar pradesh(for example) you will be only eligible for posts defined for Uttar pradesh. Chances of your final selection will depends upon many factors like difficulty level of paper, number of candidates appeared in this paper etc. In some circle competition would be high so you have to score high while in some other circles competitions would be low so if you just clear the cut offs you will be selected. You have chance of selection but not big because you just scored 88.25 out of 200 marks that is less than 50%. Sir the result shows am qualified …..but how they select in the final merit list on 8th march can you plz give the information about this…. You final selection will depend upon your marks. If your marks are very less then your chances are very low and if your marks are high your chances of selection are good. If you don’t have enough marks to clear Uttar pradesh then computer will check your second preference and so on …. So your marks must be with in the rang of last selection of last circle of you choice for your final selection. I want to know that whether this choice filling for preference order should be based on according to one’s suitability i.e preferred location for posting or it is based on no of seats in a particular circle where one has a good chance to be selected. what is the concept behind this. I have written exam in Maharashtra circle so please tell me how should i decide the preference order ? Preference must be depend upon your requirement like either you want to work within your state i.e., Maharashtra circle or not. But your final selection and final posting (any circle and rural / urban) will depend upon your marks. I am Ashwani Kumar singh. I score in TTA 2016 Exam In OBC category 100.25 marks. what is my chance to come in final merit list. You have chance of selection but not big because you just scored 100.25 out of 200 marks that is 50% of total marks. 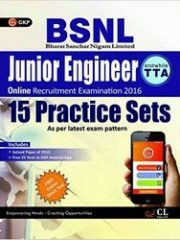 sir in coming recruitment for bsnl JTO and TTA of 2016 would they allow 2016 passing out candidates.Since we would be getting our final year result by august 2016. You have chance of selection but not big because you just scored 83.50 out of 200 marks that is less than 50%. In specialization part containing 90 marks, do I have to attempt all sections such electrical, communication, control system etc or just one section on which I have done my degree ?? You have to attempt all sections. Sir i am diploma holder and pursuing engineering 5th semester if i selected can i get education leave. Yes, Although it depends upon your request approval from the concern department. I am Diploma in applied electronics.Am I Eligible? Yes you are because you have Electronics common in your degree specialization. will my application be rejected because i have entered diploma instead of BE,Actually I filled my form on 1st Dec that time there is no such options and I did payment on 9th Dec, but filled form is saved as diploma qualification. It will create any issue in admit card? Actually it was issue in BSNL application design. So you can tell them about this issue at the time of document verification. They will most probably consider you for selection. I am in AMIE section B in cs branch after DOEACC ‘o’ and ‘A’ level.can i sit in TTA Examination. It will depend upon notification. Either they will allow AMIE candidates or not. You may refer previous notification for this issue. I am not been able to download the TTA hall ticket even with correct entry of Reg no,Date of birth, (OR) password, Will you help for this…..
Actually i filled the application for which there are some mistakes.So i filled another application also did the payment . So i want to know if my application will be rejected for filling two application? B.tech final yr students are eligible to applyapply?? Dear admin, I have read all the previous comment , and you r saying that from 5-12-2015 Btech graduates can also apply along with diploma holder. I just call them now and they said that Btech graduates r nt eligible, I am again in same doubt what is right and what is not. Sir, Do u have any link or number of the source from where u have got the info ? If you have read this BSNL TTA recruitment post then you would find a picture at the last of this post. In which you will find that there is an option in education qualification for B E / B Tech candidates too. So you are eligible. Rest depends upon you. Yah.. Got it . I even called them multiple times , they confirmed that btech graduates are eligible. It’s really a good news that you find your query solved. Sir,bsc final year students are eligible for this? No. For more details read official notification carefully. hai sir i completed b-tech in ece but i have not completed diploma or bsc in ece. now i am eligible to apply this TTA post???? Yes. Check the picture attached in this post. Will my application be rejected because i’ve mistakenly entered a wrong graduation DATE OF PASSING. its just the date . As i’m not able to edit my application anymore. what should i do? It will create a major issue when you get selected. Thanks for your reply admin Sir. So. What is your suggestion?? Should i leave it as it is or… Should i filled another application ??? P.S _ Can i fill 2 application form online??? If you could please tell me what you are leaving ? Than I can better help you. I have done my Special Diploma in Electronics With specialization in Bio-medical Engineering 3.5 year course. Am I eligible for applying the tta? If you qualification comes under Diploma in Electronics than you are eligible. For more details read official notification carefully. will i be eligible for the vacancies in mumbai circle if i select exam centre as hyderabad and write the exam in hyderabad as there are no vacancies for obc in ap circle ? or i’ll have to select te centre as mumbai..
please help the bsnl people are not receiving the call.. 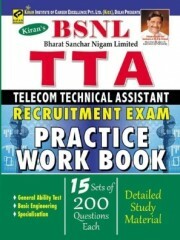 Most probably this time BSNL TTA recruitment is on all India basis. So exam center would be with in your state from where you belong but posting may be all India basis. so can i apply for this post or not? i want to know whether the merit list is based on all over india candidate or form particular circle based? hello admin i have done with mtech in vlsi and embedded this year and BE IN ELECTRONICs .am i eligible for this exam? please give me solution regarding my issue. Pay again. your one payment would be submitted in BSNL account and rest will return back to your account. In the educational qualification section what to fill in the medium of instruction? Sir, I completed 3 rd year Btech (CSE) with 80% (till now) . Now i’m pursuing B.tech 4th year. Am i eligible for this post?? I want to ask whether to fill percentage or marks in “Total Marks obtained by candidate” column under Education qualification.As there is no column for Maximum marks so how it will be clear that the obtained marks are from how much Maximum marks ?? That section is just for information purpose. You just fill information provided in your marksheets. Did you get any status for Btech candidates for applying TTA 2015? Engineering students allowed or not ? can Applicant apply from any state means i belongs to rajasthan , can i apply from other circle ……..and what’s about choice of examination center in that case ? Yes applicant can apply from any state. Exam centre will be in the state where you have applied. You are saying that exam centre will be in state where we have applied but there is no vacancy for Delhi Region so why are they giving Delhi as a choice for examination centre ???? abt qualification there r given – candidates MUST possess 3 yrs of diploma or b.sc(electronics) n nothing mentioned abt b.tech …so its very confusing …..plzzzz help whether b.tech r eligible or not?? I am a B.tech graduate in IT. There is no choice for selecting B.Tech. What should i do? but when fill for b.tech option not given only bsc and diploma what i do?? We are in the process of getting complete information from BSNL regarding this issue. Wait for few days. We will help you before closing date. As per latest news only Diploma in Engineering & B.Sc. electronics Candidates are eligible – Source BSNL.